Wednesday night in Belgrade is red hot with parties on “spalvs” (or river boats) along the Sava River river every summer night. The tunes can be heard into the early morning hours. If you’ve been to Belgrade you’ve no doubt heard one of the most popular river boats freestyler and if you haven’t been you’ll know about it once you get here. It’s a tourist hot spot, especially on Wednesday nights as it brings you its popular “I Love RnB” night. So for all you lovers of RnB, be prepared to party hard till the sun rises with some of the hottest girls you will ever see. Freestyle does not disappoint. This river boat knows how to through a damb good party. As well as knowing how to party this city has some pretty amazing restaurants. 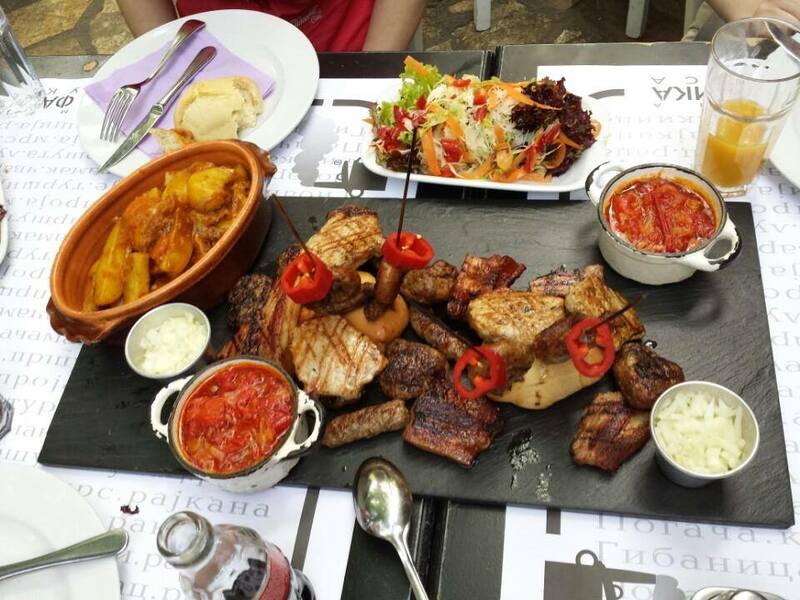 If you’re looking to try some authentic Serbian food, well then you simply can’t go past Mala Fabrika Ukusa. 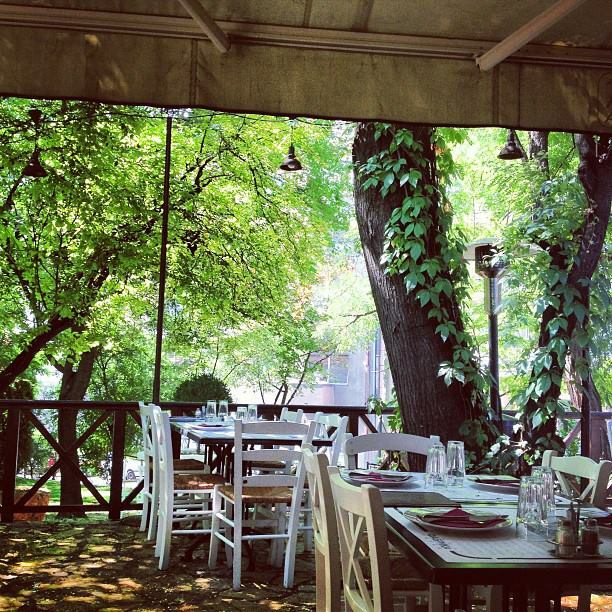 Known to locals simply as ‘Mala Fabrika’ it has a goregous little garden and a menu that will leave you drooling and is one of Belgrade’s most popular restaurants. Located in upmarket Vracar, in Nebojsina Street it’s about a 5 minute drive from the city, but you can also walk there in around 20minutes from the city centre which will give you an opportunity to really take in the streets of Belgrade and maybe even discover a few new places (there’s no shortage of hidden gems here).The décor presentation and ambience of Mala Fabrika will blow you right away. Try some of the traditional dishes including cevapi, kajmak or gibanica. If you like your meat, they also do a pretty mean gulash, but make sure you leave room for dessert because the lemon cake will leave you wanting more. And of course what’s a Serbian meal without a shot of rakija (plum brandy). So dig in and as we say in Serbia, “ZIVELI” (cheers). While you’re in Vracar, check out the spectacular Cathedral of Saint Sava another of Belgrade’s top attractions.